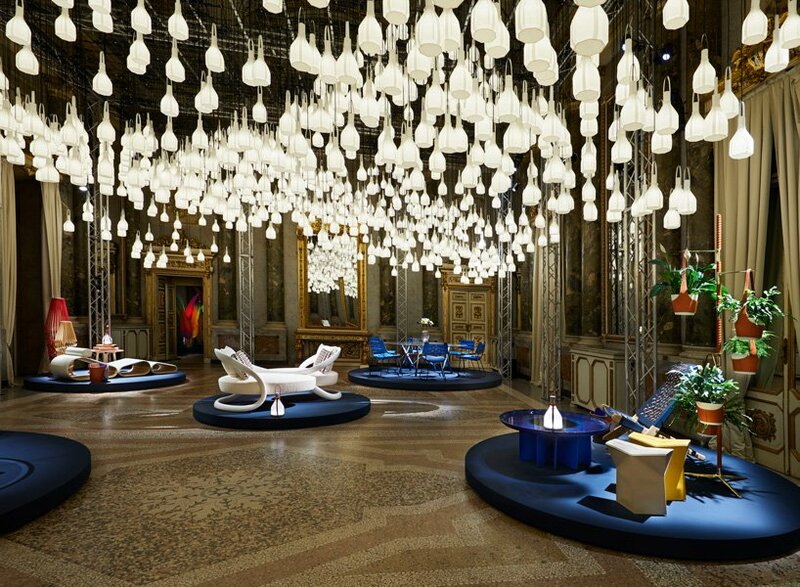 milan design week is without a doubt one of the creative’s world most hectic moments of the year. hundreds of people from around the world travel to the italian city to see not only the latest product releases, but to enjoy the ever growing immersive installations and social events that take over the courtyards and historical buildings. when the weather permitted it, we were able to visit the marvellous outdoor installations, but while it rained, the indoor ones kept us safe. 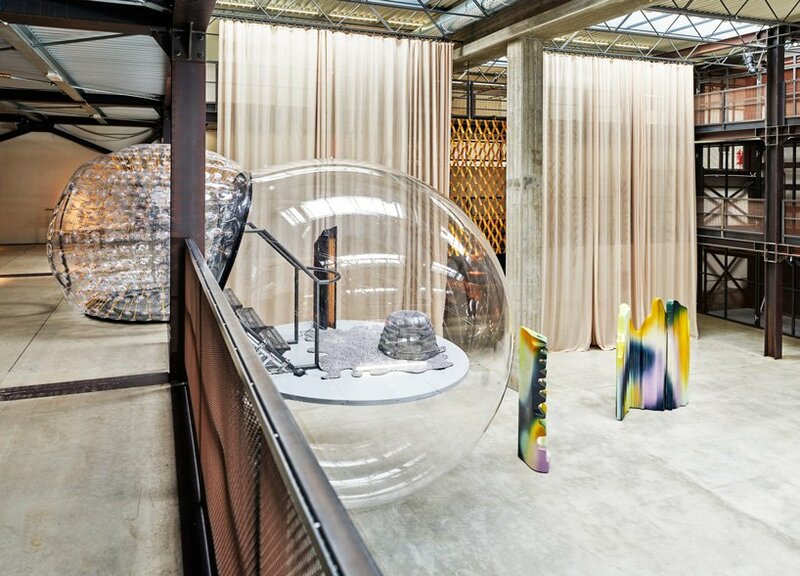 from a depot overtaken by amorphous pieces to the celebration of time-honored weaving techniques, we highlight the ten best indoor installations that took place during milan design week 2019.
a swarm of 15,000 butterflies took over the fondazione adolfo pini in milan, populating its new and already existing spaces. the black paper creatures were part of carlos amorales’ exhibitιon the accursed hour which also included silhouettes and other works by the artist, in a continuous shift between images and signs. 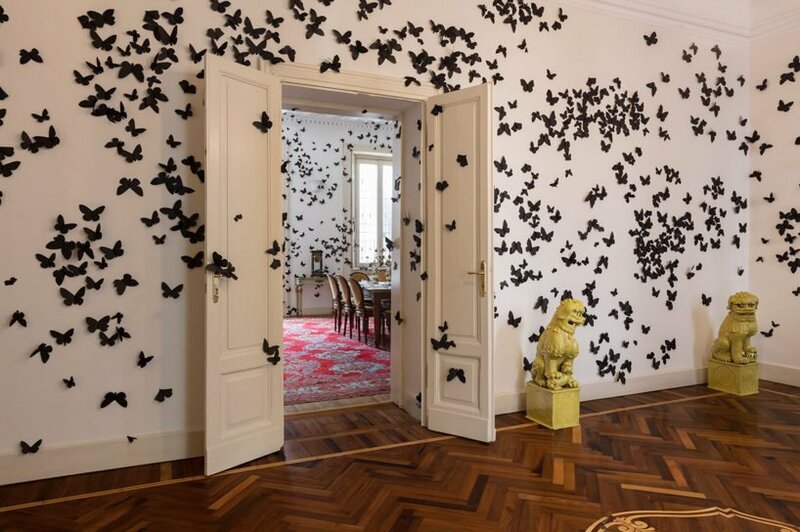 curated by gabi scardi, the exhibition focused on amorales‘ life-size installation black cloud, which includes the swarm of butterflies, as well as on various elements from the project life in the folds. read more on designboom here. RIMOWA teamed up again with contemporary art magazine and creative studio kaleidoscope, resulting in a multi-platform project developing in print, online, and live. this time it tapped the talents of spanish designer guillermo santomá who translated the premium luggage brand’s aluminium casing into a gas station-inspired installation. 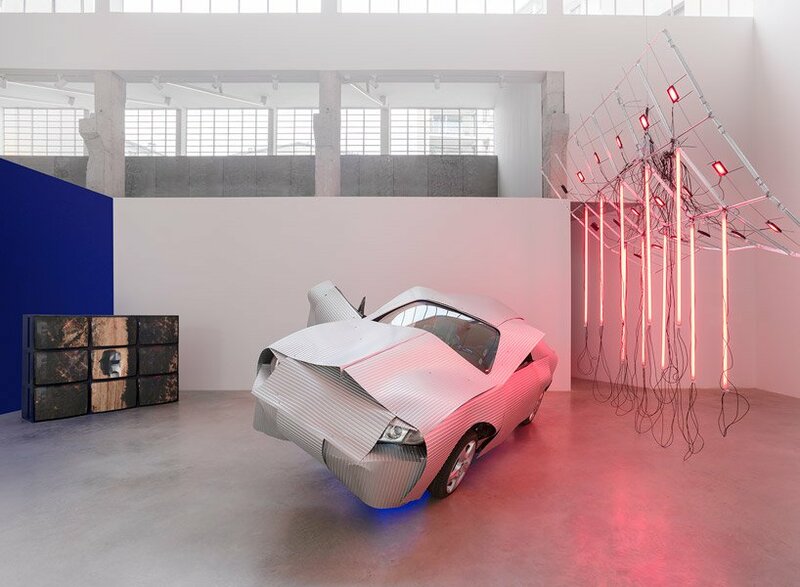 at the centre of the installation entitled ‘GAS’, santomá created a RIMOWA-aluminum-panelled car that captured his style, blending art and function in a surreal manner. 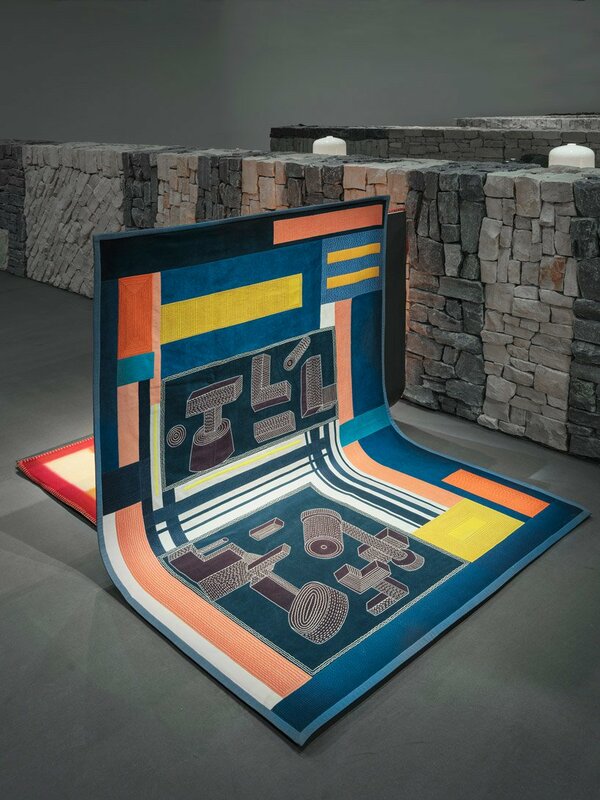 for this year’s milan design week, hermès chose to pay tribute to materials for the presentation of their new home collection. 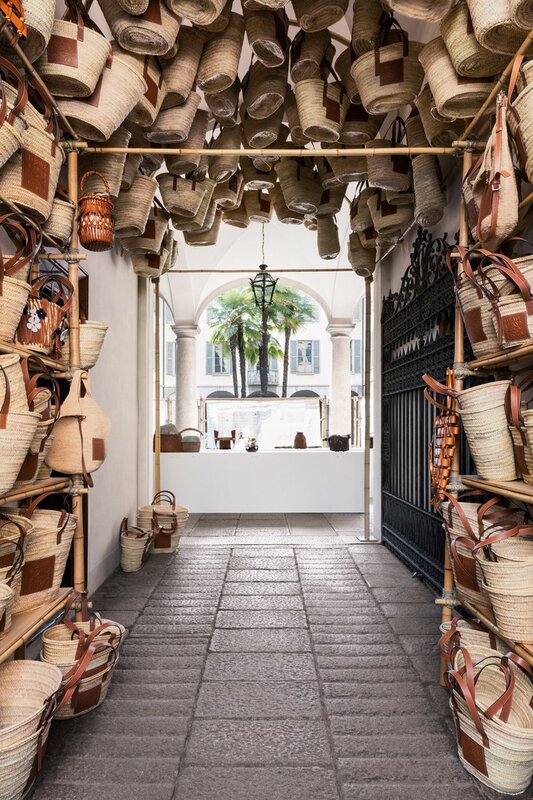 within the setting of la pelota, in a space designed by charlotte macaux perelman, the luxury french brand took visitors on a journey through structured paths of stone walling to explore a vast array of their latest products. rather than creating a bright and polished exhibition space to display the hermès 2019-2020 home collection, lines of traditional stone walling were formed to divide the space and provide direction. 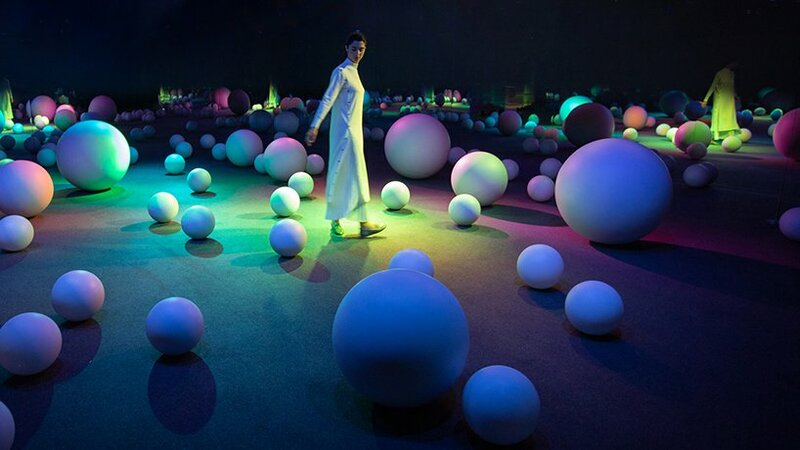 with an evolving spectrum of moving colors and sounds, visitors were able to explore sony’s affinity in autonomy immersive installation through five distinctive spaces. each scenario – from an initial awakening through to a friendly association – offered different interactions that aimed to build and strengthen an emotional connection between humans and robotics. overall, the exhibition explored and proposed how technology can enrich our lifestyle by creating emotional bonds between ourselves and robotics. the milanese nilufar gallery launched itself into a galaxy of emergent designers. building on a seminal pilot project initiated in 2018, its exhibition ‘FAR’ created a ‘temporary collective’ of young talent whose way of working includes forming, dissolving, re-grouping and ungrouping fluidly with open-end. creating a fertile place to map future directions for design, the central hall of the depot was overtaken by amorphous pieces that subverted traditional concepts of form. they worked together to destabilize ideas of domestic spaces with designers selected for their experimental methods. LOEWE has given a voice to time-honored weaving techniques as part of its ‘LOEWE baskets’ exhibition. marking its fifth project to run in concurrent with salone del mobile, the spanish fashion house described it as their ‘most ambitious instalment’ yet. the show, which directed a spotlight on basket making, was divided into two sections: inspiration and collection. for the former, LOEWE invited 11 international artists and craftsman to create a series of exclusive objets d’art. mosses and succulents, blackberries, blue pimpernels, common chickweeds, geraniums, high mallows, ivy, ribwort plantains, scutch grasses and wild sages are just a few of the spontaneous species that linda tegg and garden-designer matteo foschi sourced from fields in and around the city of milan. adjacent field, the living installation by linda tegg introduced the first in a new series of jil sander+ collections — durable products, for women and men living outside the city, in the mountains, by the sea and out in the countryside. 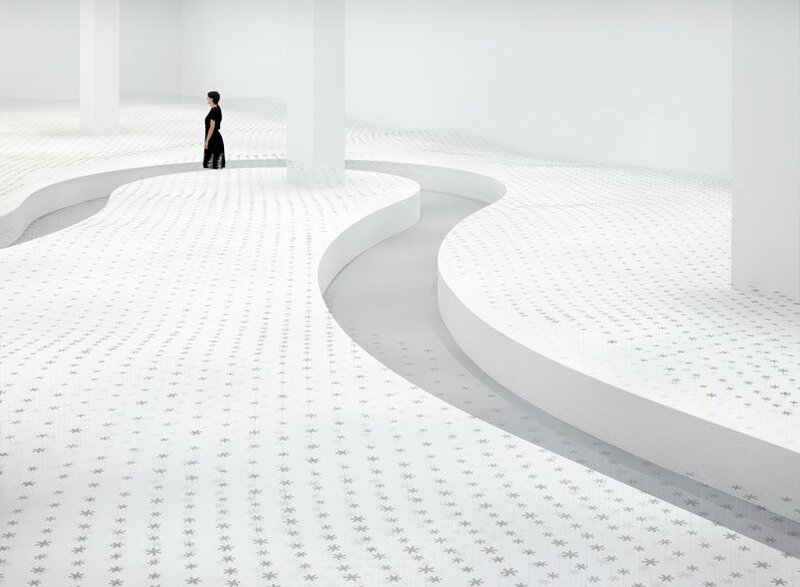 nendo teamed up with daikin to form the ‘breeze of light’ installation. 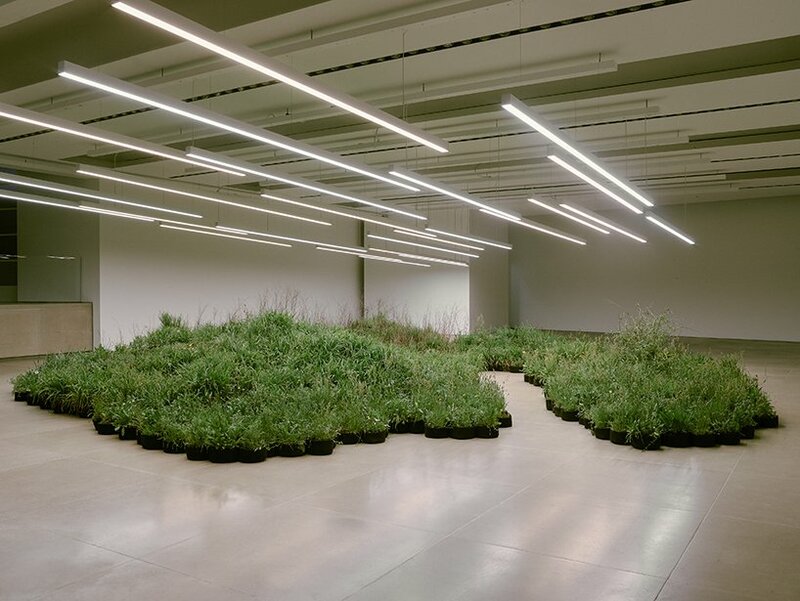 in collaboration with the air conditioner manufacturer, the project is based on the concept of ‘invisible air’ and aims to provide visitors with a unique spatial experience that offers an opportunity to ‘experience in sight what we can only feel in real life.’ the installation took visitors on a winding path through a field of 17,000 ‘flowers’. italian fashion house gucci opened the doors to a temporary, two-story boutique in milan. the pop-up shop housed the latest additions to the brand’s houseware collection including furniture, porcelain, dinnerware and blankets. 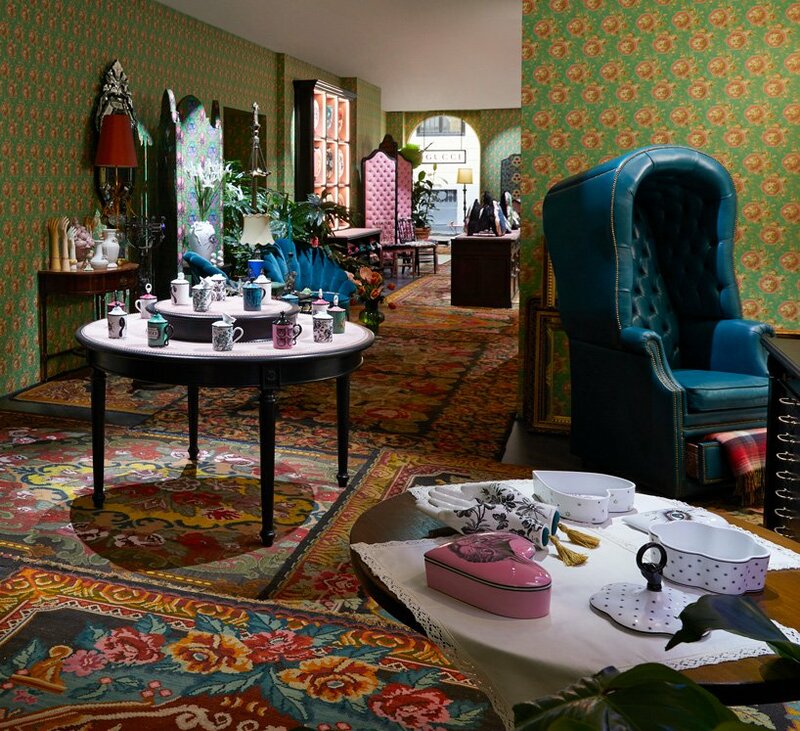 imagined by creative director alessandro michele as an apartment that has been ‘guccy-fied’, it’s no surprise that the entire space was decorated head-to-toe in the brand’s signature patterns and prints. louis vuitton added pieces by atelier biagetti and zanellato / bortotto to its objets nomades collection. joining a line-up of renowned designers including india mahdavi, patricia urquiola and tokujin yoshioka, like them, the italian duos have worked alongside an in-house artisan to produce their designs. the pieces were unveiled at the neoclassical palazzo serbelloni in an exhibition that featured the entire collection as well as past editions re-proposed in new colors and materials. dimly lit rooms were illuminated by vibrant hues including the campana brothers’ ‘bomboca’ sofa-puzzle in fluorescent yellow and the ‘cocoon’ suspended chair covered with red faux fur.